ElementalThis creature is not alive and cannot be affected by Poison-, Blind- or Mind-related magic. Nor can it be resurrected or healed with First Aid Tent.. Immunity to LightningLightning cannot harm this creature.. FlyerThis creature can move on to any free tile on the battlefield during its turn, regardless of the obstacles in the way.. No Enemy RetaliationEnemies never retaliate after melee attacks by creatures with this ability..
A traditionally quick but vulnerable creature, the Air Elemental does not possess the insubstantial ability for once, which makes its meagre 30 Hit Points a major disadvantage. Its damage range is very smal, but its damage output is quite poor. It is comparatively weak in proportion to the other elementals, though its iniative is superb, and hence able to deal some good offense before succumbing. ElementalThis creature is not alive and cannot be affected by Poison-, Blind- or Mind-related magic. Nor can it be resurrected or healed with First Aid Tent.. Immunity to FireFire Magic spells cannot harm this creature.. Fire ShieldWhen this creature is subjected to melee attack, its Fireshield inflicts a certain amount of damage to the attacker, regardless of whether it has counter-attack ability.The attacker suffers 20% of the damage dealt to its target as elemental fire damage.. ShooterThis creature can inflict damage remotely. When distance to target is longer than half the arena, the target suffers only half the normal damage. Shooter cannot use ranged attack when blocked by enemy creature. If there's no Ammo Cart in the army, the number of shots is limited by available ammo.. 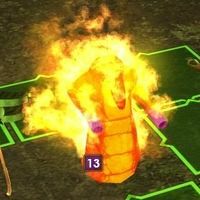 The Fire Elemental favour the Heroes IV mentality of a ranged attacker rather than Heroes III's flyer. It has a large damage range (with respect to its net damage), and can be an unpredictable source of offense. Its low hit points aren't as troubling as with the Air Elemental, as the Fire Elemental can afford to remove itself from the melee. It has average-slow initiative and speed, while its attack value is quite good. Solid and unyielding as the rock and soil from which they come, Earth Elementals have 100% immunity to Earth and 50% immunity to other forms of magic. ElementalThis creature is not alive and cannot be affected by Poison-, Blind- or Mind-related magic. Nor can it be resurrected or healed with First Aid Tent.. Immunity to EarthEarth Magic spells cannot harm this creature.. Magic-proof 50%Attacking spells inflict 50% less damage to this creature.. 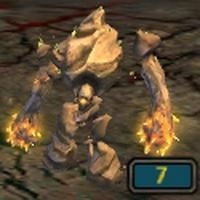 Unlimited RetaliationCreature always retaliates after melee attacks by enemies except when attacked by creatures with No Enemy Retaliation ability..
Its slow and defensive nature makes the Earth Elemental a fine garrison unit. It is unfortunately much too sluggish to be brought with a exploring army, and its abilities are of particular use during sieges. If given the opportunity, it can deal average damage, but considering its Hit Points, defence, specialties, and lack of speed and initiative, it is largely a block-unit, much like the Treant. Unlimited Retaliation only serves to augment its defensive capabilities. 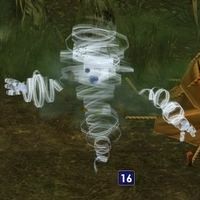 ElementalThis creature is not alive and cannot be affected by Poison-, Blind- or Mind-related magic. Nor can it be resurrected or healed with First Aid Tent.. Immunity to ColdCold Magic spells cannot harm this creature.. CasterThis creature can use a set of magical spells similar to those cast by heroes. Mana reserve is limited but always set to maximum at the beginning of combat. Spellpower depends on the number of creatures (activated ability).. 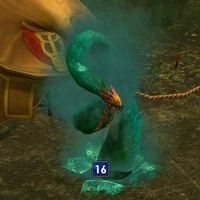 The Water Elemental was widely considered the most useful elemental in Heroes IV, and is a similarly effective asset in Heroes V. It is not too bad in comparison to the other elementals in the physical side, while it also has the added bonus of being able to cast spells. Its solid supply of hit points so that you may even run out of spell points before hit points. Large CreatureThis creature takes 2x2 squares on the battlefield.. UndeadThis creature is not alive (like all other Necropolis creatures) and its morale is always neutral. It cannot be affected by Poison-, Blind- or Mind-related magic.. Cursing AttackDuring attack a curse is put on the target, reducing the damage it can inflict. With each following attack the curse is renewed.Weakness is cast with Advanced mastery.. Deadly StrikeThere's a 25% chance that this creature's attack will kill half the units in the enemy detachment.. The Necropolis' answer to the Paladin has been rejected in favour of the Wraith. 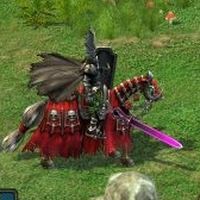 The Death Knight has statistics comparable to that of an upgraded level 6 while it costs considerably less to recruit. Its specials are quite unique and very effective, especially Deadly Strike, which is a throwback to the previous games. Large CreatureThis creature takes 2x2 squares on the battlefield.. FlyerThis creature can move on to any free tile on the battlefield during its turn, regardless of the obstacles in the way.. Fire ShieldWhen this creature is subjected to melee attack, its Fireshield inflicts a certain amount of damage to the attacker, regardless of whether it has counter-attack ability.The attacker suffers 20% of the damage dealt to its target as elemental fire damage.. Immunity to FireFire Magic spells cannot harm this creature.. RebirthOnce during the combat this creature can rise from the dead if killed. The number of revived creatures equals the number of killed ones.. 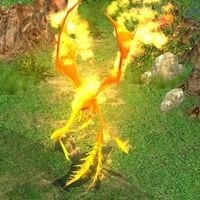 The blazing speed and initiative of the Phoenix are its biggest assets, acting almost 2x more frequently than other level 7s. While its hit points aren't spectacular, it has great attack and defense, and its fire shield specialty does not endear others to attack it. Though its damage is average, it has its rebirth ability to counter its hit point deficiency. It is, however, extremely expensive. Total Orientation: Another eclectic bunch of neutral creatures grace the land of Ashan in Heroes V. Similar to Heroes IV, the strongest creature in the game is indeed a neutral, the Phoenix (at least according to power rating), while the four elementals return once more. The Death Knight has a lack of Hit Points, but is a potent adversary and has a wealth of specials, as do the rest of the neutrals.